In the enterprises where Exchange Servers are responsible for internal and external communications, they contain a lot of valuable information. For both reasons, security of data stored in Exchange Servers and to meet the compliance requirements, it is quite essential to audit all Exchange Server activities including non-owner mailbox accesses. In this article, you will see how to monitor non-owner mailbox accesses through LepideAuditor. Tracking non-owner mailbox accesses with native methods may get complicated as you have to enable auditing for each mailbox individually. The process may become time-consuming and complicated, as you need to do it for each mailbox separately. The other option is taking help of third-party applications. LepideAuditor makes non-owner mailbox accesses tracking easy, as you can configure settings for all the mailboxes through a few clicks. Add the domain that has the Exchange Server, and configure settings. 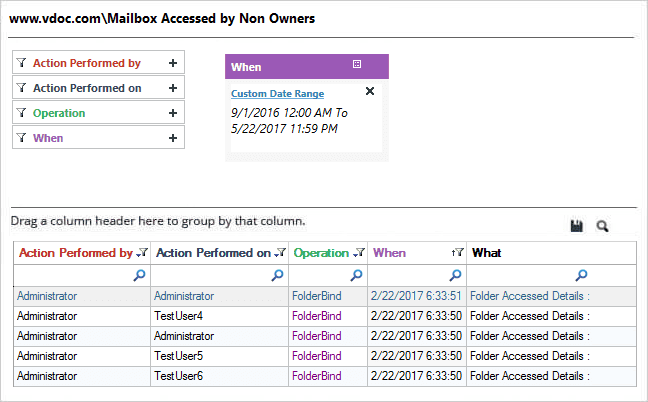 Generate the reports for tracking non-owner mailbox accesses. 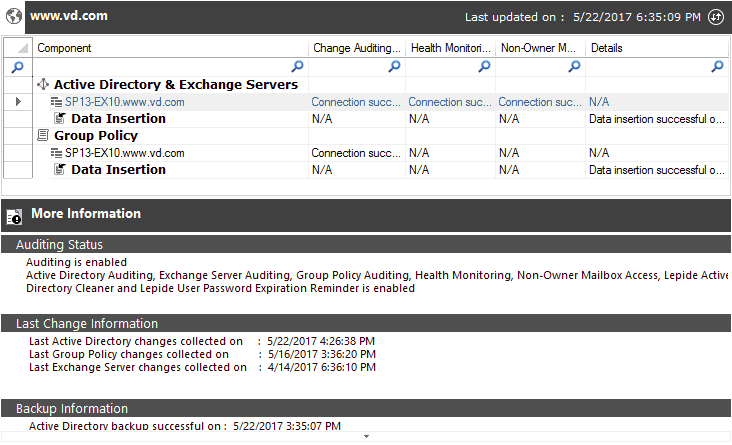 The following image shows the configuration part, wherein you have to add the domain in which Exchange Server is present, and enable auditing for the Exchange Server. The following image shows the mailbox auditing configuration wizard. For each mailbox, you can set auditing for delegated users, admins, and even owners. 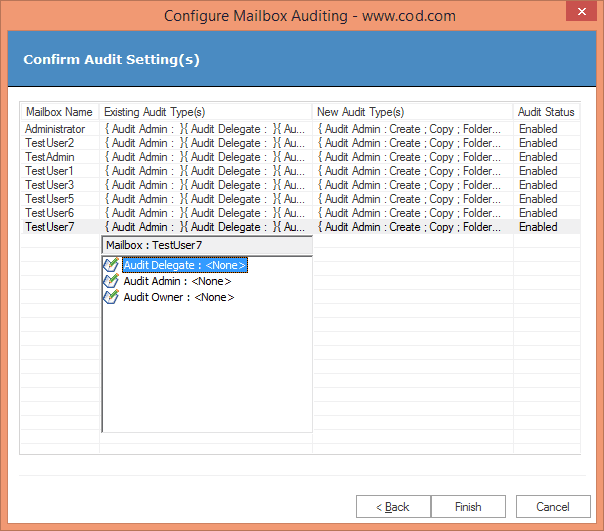 In LepideAuditor, you will not have to enable audit for each mailbox separately. Instead, you can configure auditing for all the mailboxes at a time. 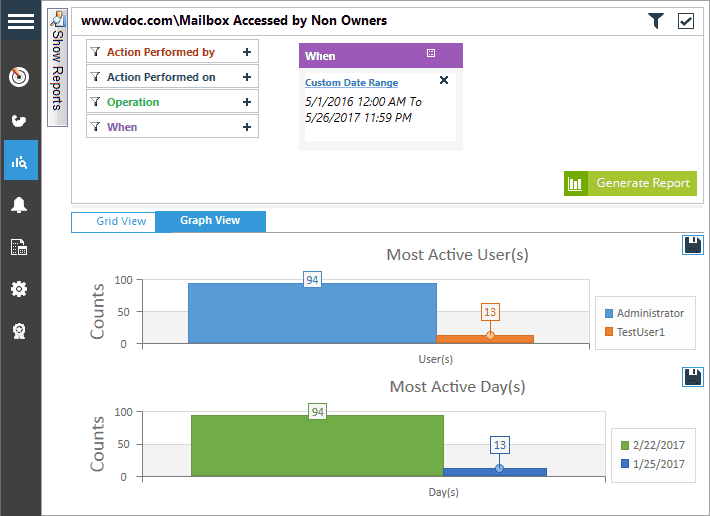 You can generate and view non-owner mailbox access report in the “Audit report” section. You just have to select the date range and click on the “Generate” button. After processing your request, the application will show the report as shown in the following image. The report has the following columns, and the information they give is written corresponding to them. To get more details on each record, you will have to click on the record, and then complete details will be displayed in the right-bottom pane. The following report gives a graphical view of the same report. 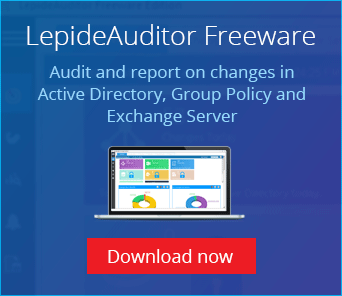 With LepideAuditor the auditing of non-owner mailbox accesses becomes easy. It also simplifies Exchange Server security and adherence to compliances. All these features make this solution preferable over other solutions.